On Saturday, I finished a blog post entitled, "My First Look At Facebook's FrontierVille" and then on Sunday I finished another article called, "FrontierVille: Managing The Trees." Today, I want to finish answering Marianne's question, "How on earth are people completing these buildings?" 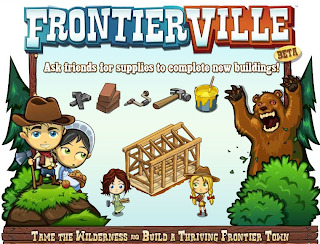 If you're not yet playing the popular FrontierVille, let me explain that buildings are a necessary part of the game. 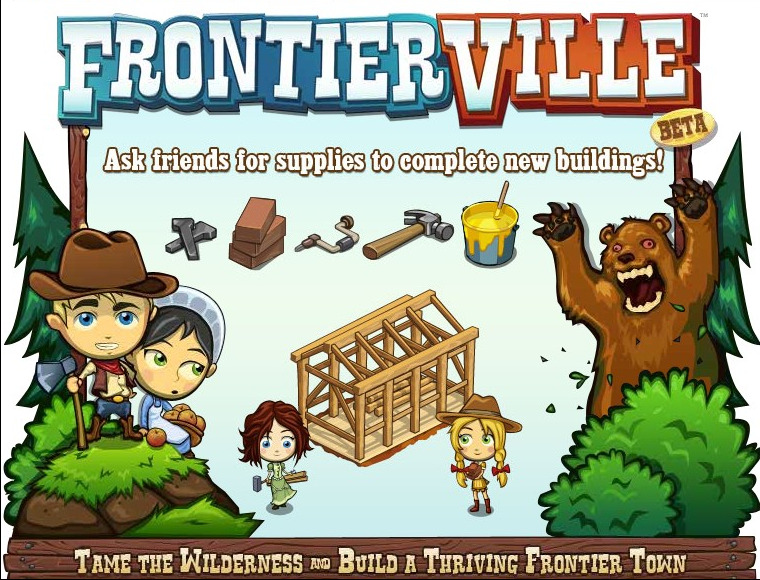 In order to complete certain challenges, users must purchase and construct buildings. At level 15, I have successfully completed a cabin, barn, and general store; However, I am still waiting to finish the inn and school house. How Do I Complete The Buildings? Once a user purchases a building from the market and places it on the land, it is time to work. In FrontierVille, this means using energy points to cut wood from surrounding trees and apply elbow grease to complete the building. 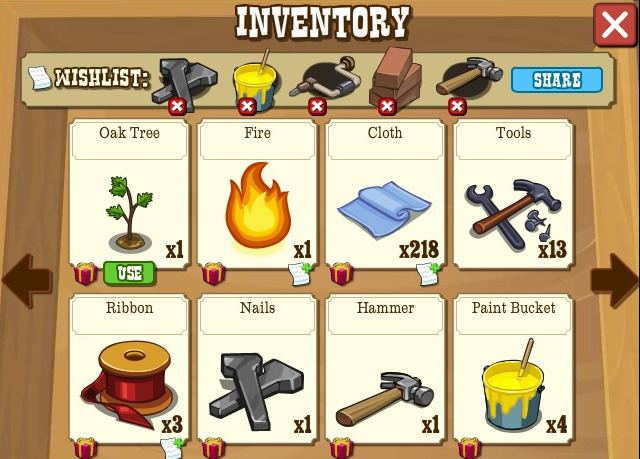 Once these tasks are finished, it is time to use inventory to apply the final touches. 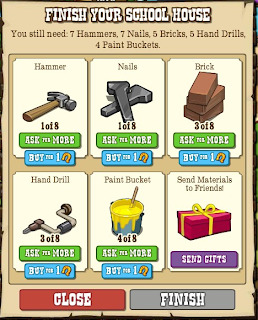 For all of my currently standing buildings, the tools I used included hammers, nails, bricks, hand drills, and paint buckets. With each new building, the number of necessary items increases. In the image provided, I will need eight of everything in order to finish the school house, whereas I only needed four for the cabin. Where Do I Get These Tools? The only ways I know to obtain building supplies is with horseshoes, which you can purchase online, or gifts, which you get from neighbors. As of today, I'm not ready to spend my money on horseshoes, so I rely on friends for assistance. One way to communicate personal need is by adding items to the inventory wishlist. This method allows users to select five items, which later shows up on neighbor profiles. To add items, simply click on the white icon with the green plus sign. Once you reach five wishlist items, you will have to remove one in order to replace it. 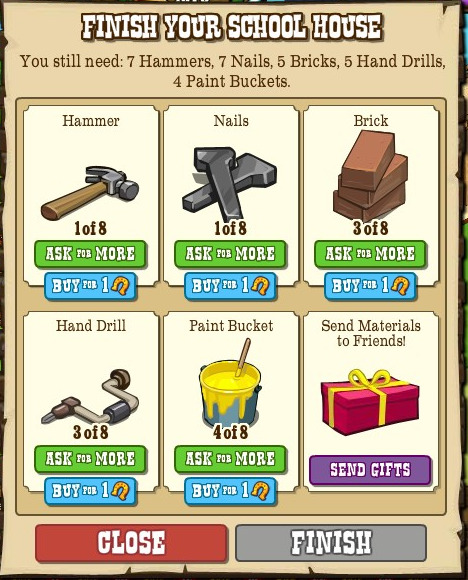 In the picture below, you can see that I am asking for nails, paint buckets, hand drills, bricks, and hammers, the essential items for building construction. 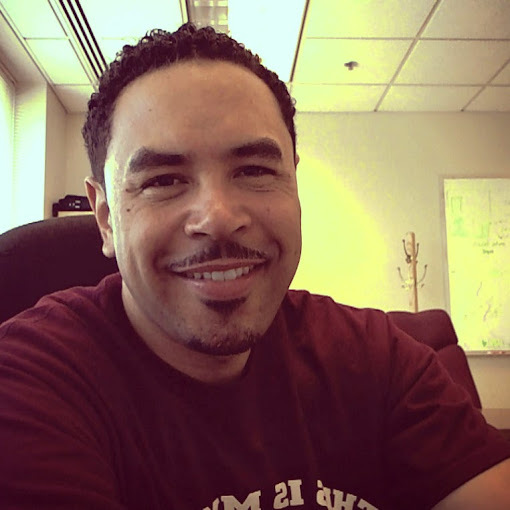 Another way to communicate personal need is through the giving of gifts. Each day, players may send one free gift to each neighbor from the gift box or by clicking on a neighbors profile picture and selecting the 'Send Gift' button. Be mindful that by clicking on a neighbors profile picture, users also have the option to send gifts from their own inventory. If you have enough to spare, feel free to use this option. Unfortunately, as much as I would like to share my tools, I don't have enough to finish my own work. Therefore, I send gifts to friends in hopes that they will return the favor. To get a hammer from neighbors, send a hammer. To get nails, send nails. 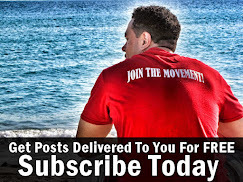 More experienced neighbors tend to catch on and will bombard you with exactly what is needed. Depending upon the number of friends playing, it may take a day, a week, or even longer before you get enough of each item to finish your building projects. In the end, you will finish construction and have the luxury of customizing each building to suit your own personal design tastes. Good luck with construction and don't forget to send a few tools my way. Also, if there is anything else I can help you with, please do not hesitate to ask.